The holiday season is coming to an end. It’s time to pack up the stockings, and take the ornaments off the tree. That tree was a beautiful Christmas decoration, but now that the evergreen is turning brown, and its needles are falling all over the carpet, you realize it’s time to get it out of the house. But don’t just throw it away. You have several options. Here are five interesting ways to use your dead Christmas tree. 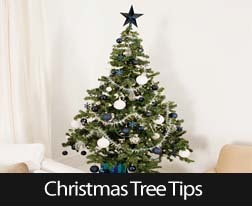 Keep the tree in its stand and set it outside. You can put some birdhouses in it, or surround it with bird seed. The birds will appreciate your Christmas tree long after you’re tired of looking at it. Take off the tinsel first! If you (or your neighbor) has a pond, just drop the tree overboard and give it a proper sailor’s burial. A dead Christmas tree is the ultimate home for fish. The fish can sleep easy behind the branches, and you can sleep easy, knowing your beloved tree is still getting some use. It’s a big help to those trying to keep a pond stocked for fishing. A dead Christmas tree can be an excellent gardening tool. Cut branches and place them around your perennials to help keep them warm. If you’ve been vacuuming up all those fallen needles, spread them around the garden. They make great mulch. Better yet, rent a wood chipper, and chop up the whole tree. That’s even greater mulch. If you’re not a gardener, there are several organizations that will accept your tree as a donation. Another option is simply use your tree as firewood. Evergreens are great for bonfires and outdoor fireplaces. They ignite really easily. But don’t burn them indoors! The creosote buildup can be dangerous. If you’re craving a more creative approach, there are several great dead Christmas tree craft ideas out there. Some people chop up the trunk and use cross sections as planters. You can also paint a coat of polyurethane on some small sections, and use them as coasters. You could even attempt to make some homemade potpourri. The possibilities are endless. The fate of your dead Christmas tree is in your hands. You can burn it, make a habitat for animals, make some mulch, or even make some coasters. The important thing is not to let it end up in a landfill. These dead trees have so many better uses than rotting with the trash.